ExtrabiomesXL 3.16 for Minecraft 1.7.10 – Not Quite a Textbook Release. Well ExtrabiomesXL 3.16 for Minecraft 1.7.10 is finally complete and ready to ship. Aside from getting the last of the door textures on in nothing has changed on our end aside from some organization things and frame work of how we do our build process. That said there are two caveats that you may want to know about. First off slimes will not spawn in the Green Swamp if you are in single player and have Optifine A4 installed, word on the street is that Optifine has a new build in the works that fixes the incompatibility but sp614x is currently working on the 1.8 update so it may be a while till it sees the light of day. Secondly you should avoid Minecraft forge 10.13.1.1224, a change was made in it that broke backwards compatibility not only with us but potentially any mod that adds biomes. That being said we should be compatible with all version of forge from Forge recommended (10.13.0.1180) up to 10.13.1.1223 if you need Java 8u20 support. 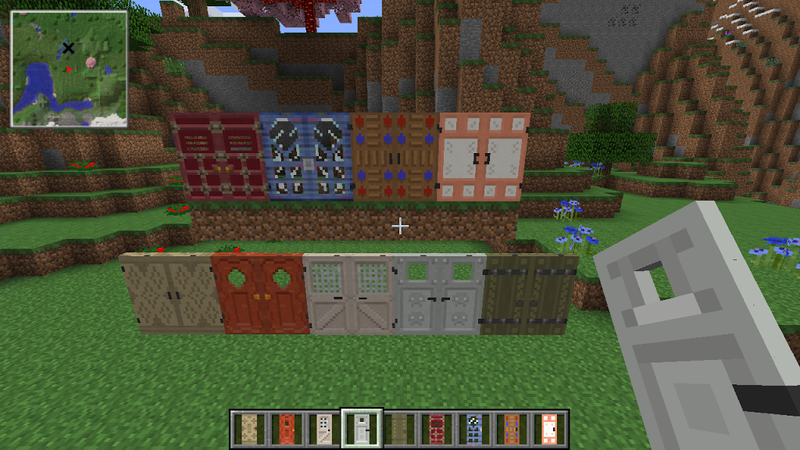 All our finalized door textures, with their item variants on the hot bar. Fences are also available for all of out types of wood. Fence Gates for all of our wood types. I can’t get crafting to work with this mod. 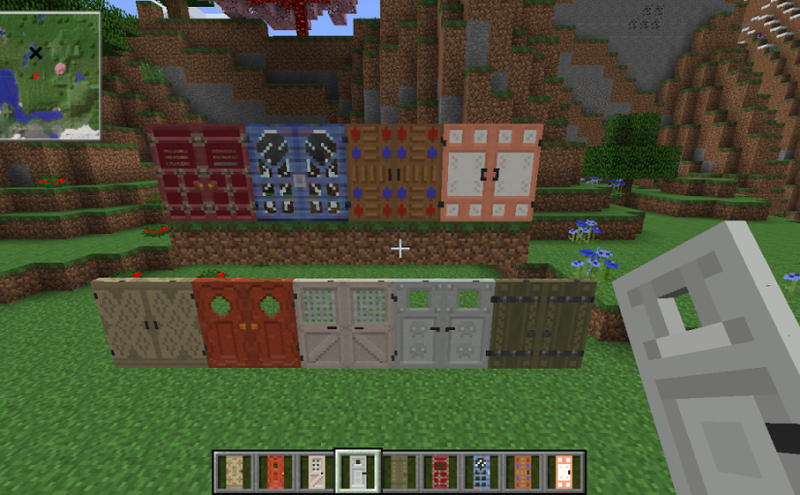 Planks, doors – anything that has to do with this mod. Any tips on how to fix? Thanks! Well the first thing I would ask for is forge logs as at the moment I have nothing to go off of to try and figure out what is going on. I just got this mod today, and I am having some issues with the trunks of the trees in the grey tree biome, I am not sure what it is called. The trunks of the trees are transparent for some reason. I can see the top of the tree, but not the trunk. I can still mine the wood, but when I make doors out of the wood, that is also transparent. Not positive on how to fix this!? We would need to see your logs to say for sure, but this looks like an issue that was reported on our thread that has to do with optifine and specific versions of Forge. Can you post your Forge log or tell us what version of Forge you are using and if you are using Optifine?